The votes are in! 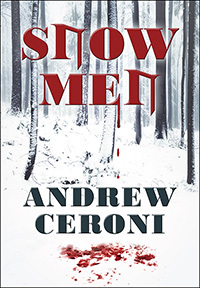 Outskirts Press announced today that Andrew Ceroni has won the Outskirts Press Best Book of the Year Award for 2014 for his book, Snow Men. Andrew’s work was voted the top honor from the three finalists selected from the most recent Colorado Independent Publishers Association EVVY award winners. Andrew will receive the $1,500 Grand Prize from Outskirts Press as well as wide recognition through social networks, and a widely distributed press release. An exclusive award seal will also be added to his cover for all future printings of his novel. Andrew Ceroni served a distinguished career as a special agent conducting global counterespionage and antiterrorism operations. He is a graduate of numerous federal intelligence and criminal law enforcement training forums. He received his B.S. degree from the US Air Force Academy; M.A. from Case Western University; and studied several foreign languages at the University of Maryland. An author of several short stories and two novels, his poetry has also been published in several magazines. He lives in Colorado with his family. Over the last week, thousands of readers and writers among our writing & publishing social community were invited to vote. 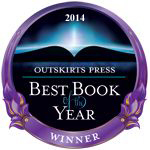 The Outskirts Press Best Book of the Year award recognizes not only the author with the writing talent to compose an award-winning book, but with the marketing prowess to promote one. Andrew ultimately collected the greatest percentage of votes. Besides receiving the $1,500 Grand Prize, Andrew Ceroni will now reap the benefits of extensive promotion of his book by Outskirts Press. A feature story that covers his inspiration to write the book, his own writing process and his personal story will be widely distributed throughout the social networks in the near future.